a convenient zip-out super heavyweight 11.5 oz. 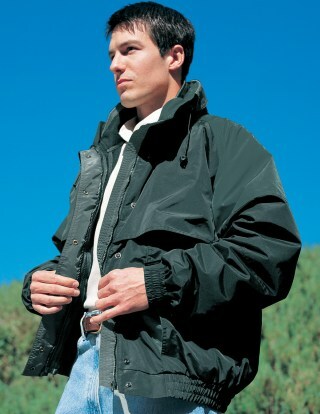 Anti-Pilling PANDA FLEECE inner jacket. Shoulder, collar and front pocket are pleated with contrasting color trim. Elastic with Velcro cuff closure.